Lock in a great price for Sunset Cove Resort – rated 8.5 by recent guests! 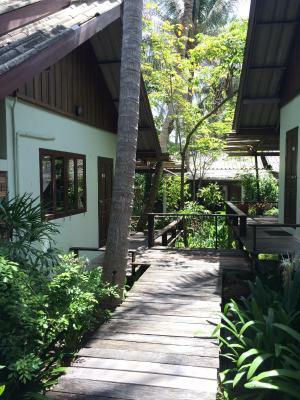 Big and nice rooms, comfortable bed, clean, AC is good, located close to the beach. Staff is friendly and helpful, swimming pool is good. 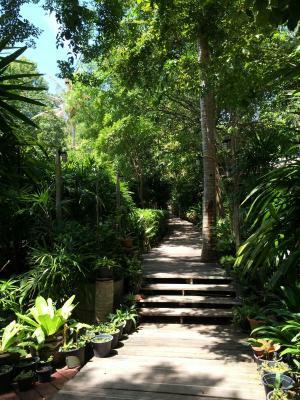 The resort is full of plants and atmosphere is relaxing. I just love sunset cove. It was my third time in 6 months that I chose to stay here. The staff are fabulous, welcoming and feel like family. 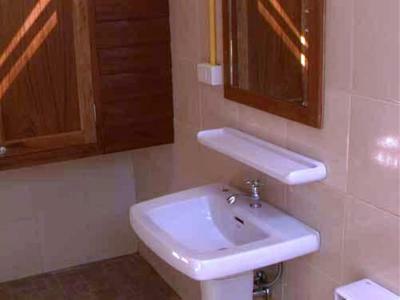 The huts are a good size and I love the decadent feel of the large outside private bathrooms. It’s the best spot to watch the sunset, the pool is fabulous - one I actually want to use and sit around as it’s almost on the beach. Clean and in line with the horizon. The staff are so welcoming, fun, happy and can't do enough for you. 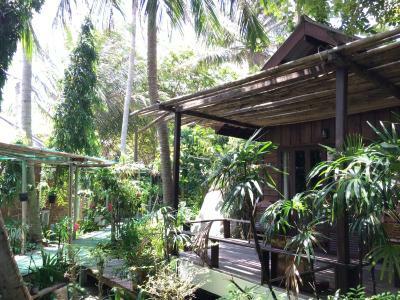 It's my fav place to stay on Phangan. Just far away enough from the village and close enough to walk to. Quiet and beautiful spot. I thought the room was great. The staff are lovely and I felt welcome. Lovely pool, the beach is sand flats at low tide which is all morning but it's quite beautiful. Special beach and terrific location. 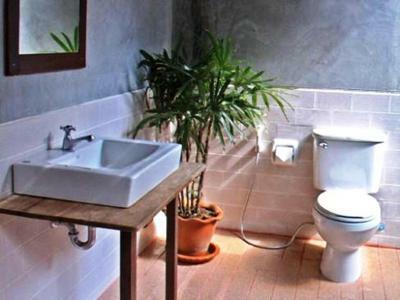 Some reviews complain about outside bathroom but I LOVED it. Tastefully done. 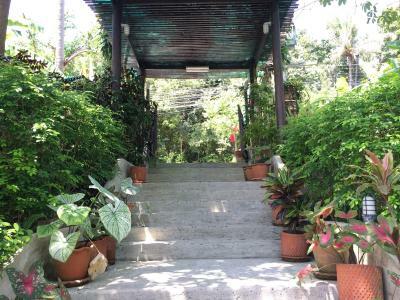 Located away from the buzz but close to some restaurants and cafes. Close to a motorbike rental so it’s easy to get round the island. 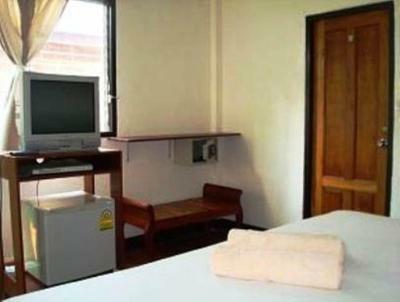 The rooms are a good size and were clean. Good location to beach and away from hustle and bustle. The location is not so good. Few minutes walk to family mart and some restaurants. 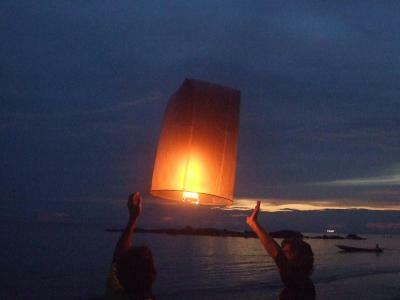 45 minutes to full moon party. Around 40 minutes to the pier. 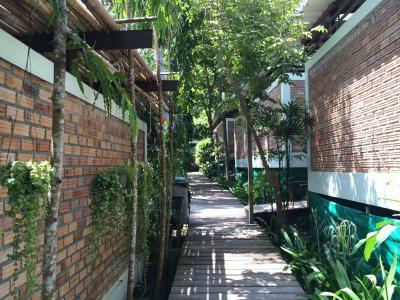 If you want to go waterfall or do yoga classes, it's better to rent a scooter. The transportation cost a lot!! The environment is quiet with beautiful sunset. I enjoyed swimming in the pool and watching the sunset. So nice. The facilities are good. If you need hair dryer you have to ask them. Postcard for free, banana for free, sugar for free, extra towels for free. The breakfast is good, highly recommended. The staff is sooo nice. Very helpful. I won't forget their help. It's cheaper to book ferry&bus service from them. They always smile at you. Enjoy the stays here. 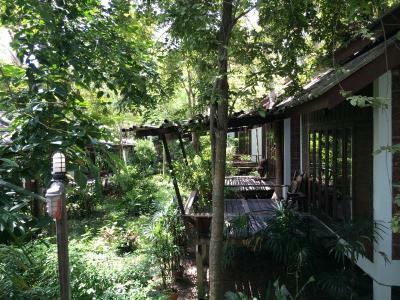 This place is a taste of rustic charm right in the heart of the yoga capital of Koh Phangan:) - so if you want a bit of peace and quiet (without annoying cheesey beach music pumping all day and all night long) this place is for you! the infinity pool that looked out over the ocean was amazing, the breakfast (although not a buffet) was one of the best breakfasts I've had in Thailand - you can order anything and more. There were kayaks for free, dvds to watch movies in your room for free, free bananas, lol. Great times! Will def come back. There's a good cafe called the Art cafe just opposite - with excellent kombucha and feel good vibes! There's also a great vegan/vegetarian and non veg spot called the mountain cafe. Everything worked and was clean and well maintained. Room was basic but not spartan and perfect for just having a no-frills place just to sleep (with good AC!). 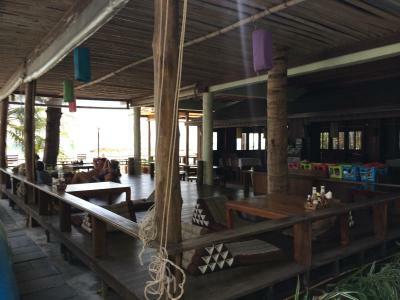 The location is amazing though, right on the beach, easy walking distance to plenty of nice local restaurants, some good beach bars right next door and just up the beach. 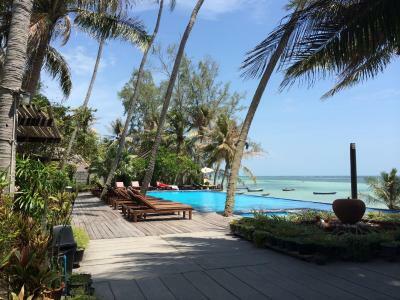 This is in the quiet 'healthy' part of Koh Pha-ngan - barely a loud backpacker in sight! Recommend walking up and down the hill to Secret Beach just 15 mins away. 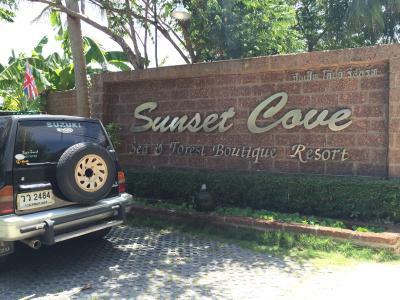 Sunset Cove Resort This rating is a reflection of how the property compares to the industry standard when it comes to price, facilities and services available. It's based on a self-evaluation by the property. Use this rating to help choose your stay! Spread over 50 feet of private beach, Sunset Cove Resort is in Ao Chao Pao on the west coast of Phangatren Island. 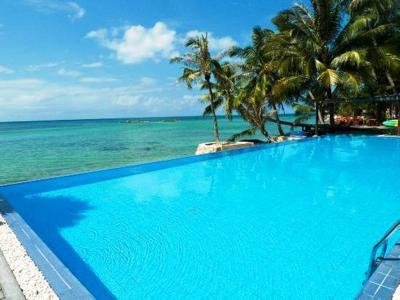 It has an outdoor infinity pool and free Wi-Fi. 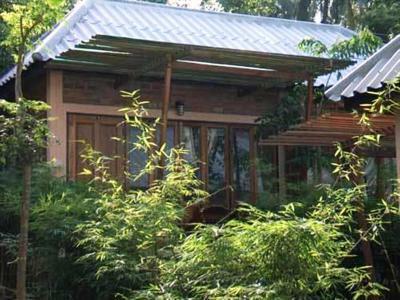 Built from natural wood and decorated with local handicrafts, the air conditioned cottages feature a DVD player and TV. Each also has a fridge and sitting area. 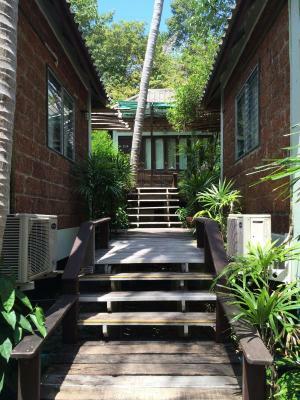 Sunset Cove Resort is a 15-minute drive from Thongsala Pier and Ang Thong National Marine Park. 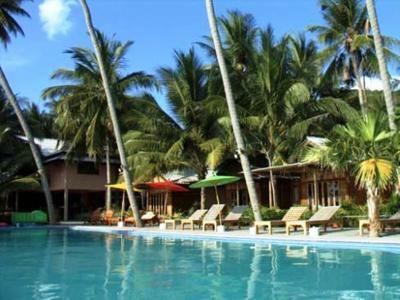 It is a 40-minute drive from the popular monthly Full Moon Party. 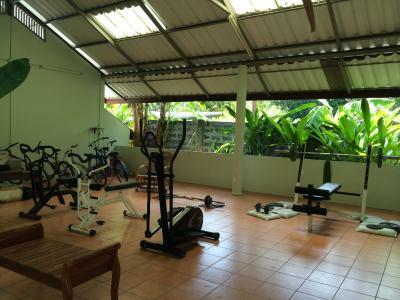 Guests can exercise at the gym, enjoy water sports by the beach or arrange day trips at the tour desk. 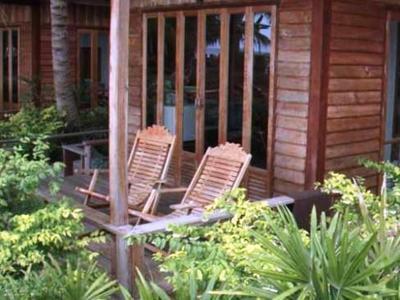 The resort also provides massage services and a library. 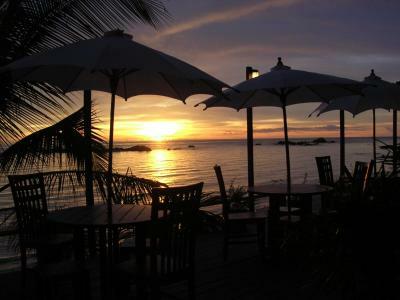 Sunset Terrace Restaurant offers a varied menu of international dishes. Refreshing cocktails and snacks can be enjoyed at the bar. 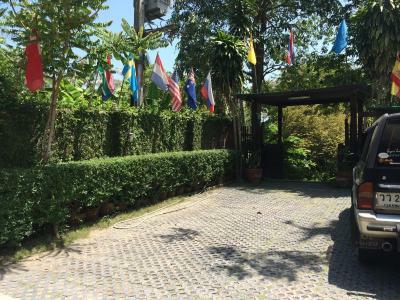 This property also has one of the top-rated locations in Haad Chao Phao! Guests are happier about it compared to other properties in the area. 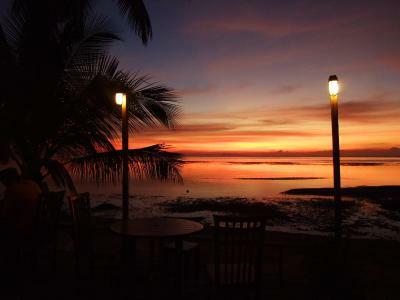 When would you like to stay at Sunset Cove Resort? Features garden views and air conditioning. Please note that there is no capacity for extra bed. 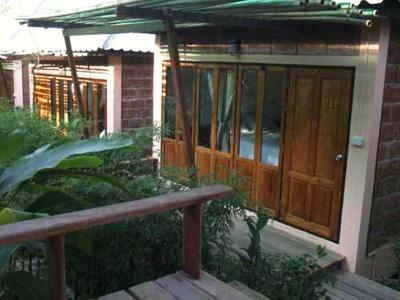 This twin room has a balcony with garden views and air conditioning. This suite has a balcony, seating area and DVD player. Guests enjoy garden views. 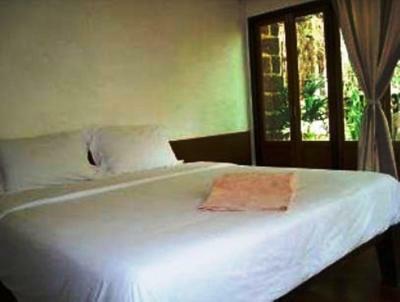 This double room features a balcony, a seating area and a large bathroom. 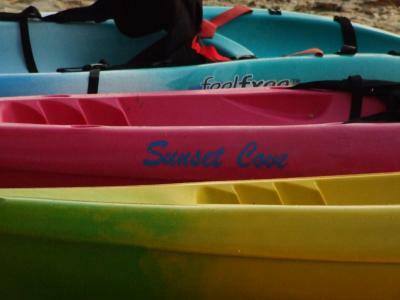 House Rules Sunset Cove Resort takes special requests – add in the next step! Sunset Cove Resort accepts these cards and reserves the right to temporarily hold an amount prior to arrival. Food was not great, edible but average western style breakfast (no Thai options) and even the Thai food wasn't very good. Small portions. Don't bother with the free breakfast just walk to one of the cheap, amazing cafes nearby. 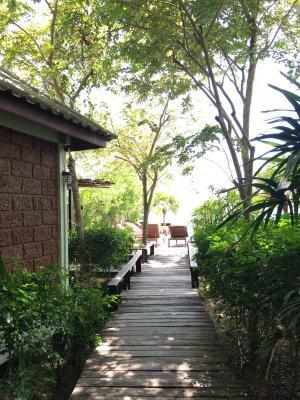 This resort will perfect if you're looking for down time,. Breakfasts were always such pleasure having it with the perfect view and the beach where it's located is perfect for sunset. Having morning swims and kayaking around dusks were also the highlights during my stay there. I had such a great time chilling at the resort and the staff were always so pleasant and helpful. It's also located very close to Samma Karuna if anyone is looking to practise some yoga or meditation. Rooms are old and they resemble a 90s hostel rather than what the place tries to be. Ac old tv old doors bathroom and curtains - all old. Location is excellent. Reasonably good breakfast. Showers are OK but can be improved. Gym is not really usable - old and limited equipment. A little pricey compared to the prices of resorts around it. I don’t think there’s anything I don’t like. Would have liked to have a few TV channels, if only for some background music. There is a tv in the room but only for DVDs, there are plenty free to use but be warned they are a bit hit and miss very old and scratched. However, this would no way stop me going back. 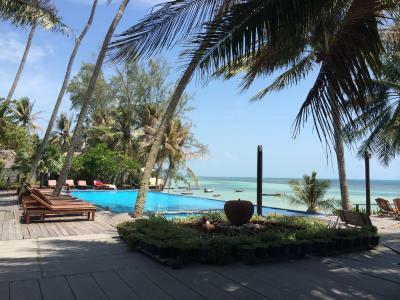 I have visited Koh Phangan several times as my daughter lives on the island, I have stayed in plush westernised hotels which have all the facilities you would expect. However this time I decided to stay somewhere more traditional and chose Sunset Cove. I loved it here, the rooms are more basic and not as pristine as the bigger hotels but its authentic and in a beautiful setting right on the beach. The beach is however very small, not somewhere you could necessary sunbath but where you can access the sea to swim. 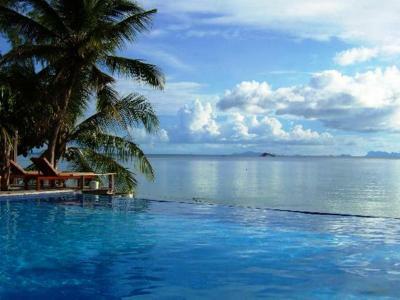 The pool is the place to sunbath looking out to sea and the sunsets are wonderful. Breakfast is simple but perfectly adequate, fresh fruit, yogurt, cereal, cooked breakfast with various styles of eggs, pancakes, toast jams etc. Would I go back? Absolutely I loved it. A foto/picture in the rooms for decoration would make the rooms friendlier. They are a bit plain and grey. Floors squeeky. Courtains need washing. People were very nice, food great and pool etc. wonderful. Very clean and just a good vibe. Will go back. The resort is getting old and it needs some work, mostly the walking boards. Good breakfast. We enjoyed our time at the pool.Bungalow was comfortable. Staff were efficient and professional. Did not swim in the pool bc of chlorine. Salt water swimming pool is healthier. Warm & friendly staff. Always so helpful. Rooms were a little outdated, but didn't detract from the overall experience. Poolside breakfast and views were absolutely fantastic! We loved it! The staff were ABSOLUTELY AMAZING!!!!! Excellent breakfast in an idyllic location. Basic room, okay for the price in a great location on the island. 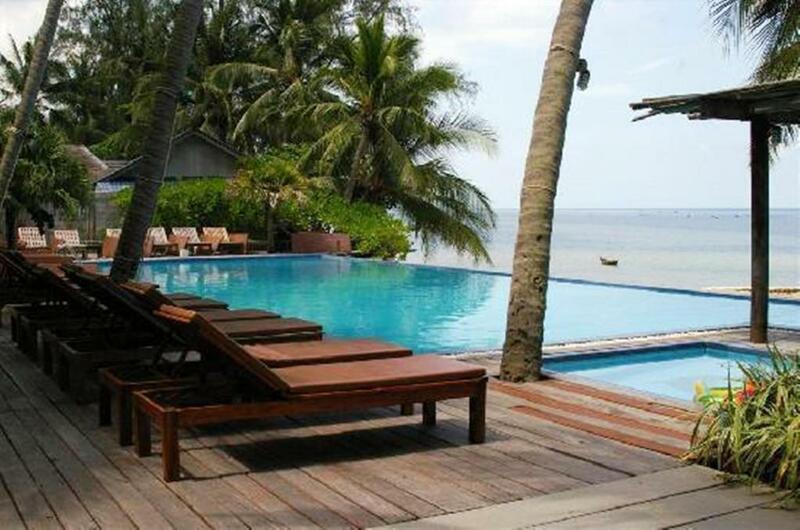 Very nice swimming pool overlooking the sea, with nice places to sit outside very peaceful. Breakfast was good, nice place to eat in the morning, and the staff were very friendly.